Ryan McGovern has nearly two decades of investment and advisory experience with much of that time spent launching and managing mezzanine debt funds and working with mezzanine fund investors around the world. At Star Mountain, Mr. McGovern is involved in all aspects of the firm’s investment and portfolio management activities in addition to business development and investor relations efforts. Mr. McGovern joined Star Mountain from the specialist private debt advisory firm Avebury Capital Partners where he established and ran its North American operations helping to build, advise and raise capital for mezzanine and other private credit investment funds. Mr. McGovern was previously a partner at Ember Capital (formerly known as Nomura Mezzanine), a London-based alternative investment fund manager which managed a €350 million mezzanine fund sponsored by Nomura in addition to approximately €200 million in other pools of capital for senior and mezzanine debt investments. For nearly 8 years at Ember/Nomura, Mr. McGovern was responsible for originating, executing and managing senior debt and mezzanine investments primarily in connection with private equity sponsor-driven transactions. During his time at Ember/Nomura, Mr. McGovern was instrumental in making more than 25 private credit investments. Mr. McGovern also played a key role in structuring and raising the firm’s funds as well as with investor relations on a global basis. Before joining Nomura in early 2005 to help launch its mezzanine investment business, Mr. McGovern was an investment professional at MezzVest, a €750 million mezzanine fund sponsored by AIG. 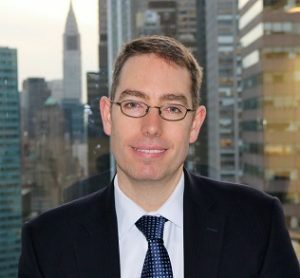 Earlier in his career, Mr. McGovern was an investment banking associate at HSBC and an investment banking analyst at Stephens Inc. Mr. McGovern began his career as an associate portfolio manager in the asset management division of Dominick & Dominick in New York. Mr. McGovern completed his MBA at HEC Paris and London Business School and holds a BA from Vanderbilt University.